Being a highly sensitive person (HSP) is not a bad thing. It simply means that you tend to process things more deeply, such as cues, emotions, and experiences. You are quite aware of your surroundings and have a keen gift for picking up on subtle cues in your environment that others may not notice. Since you might tend to pick up on these subtle cues and process those more deeply than other people do, it is not a surprise to think that you might feel overwhelmed during experiences that are not-so-subtle. Things like loud noises, drastic temperature change, crowds, or emotionally-charged situations can create distress because your system becomes overstimulated. You might also find that you have a harder time healing after experiences that involve betrayal, loss, or rejection. Keep in mind that being a HSP is simply a way of being in the world. Many people who identify as a HSP may have had experiences in their lives of other people telling them that they are "too sensitive," or "can't let things go." These can be painful things to hear, especially from those we care about, and leave us feeling like we are misunderstood or, worse, weak or incapable. As Elaine Aron, PhD, states clearly in her work with highly sensitive people, "There is nothing wrong with high sensitivity. Sensitivity is an advantage in many situations and for many purposes, but not in other cases. Like having a certain eye color, it is a neutral, normal trait inherited by a large portion of the population, although not the majority." Dr. Aron estimates that this trait of high sensitivity is found in 15-20 percent of the population. Not sure if you would be considered a highly sensitive person? Take this quiz by Dr. Aron to learn more. As a HSP, you may have experienced situations and people who have left you questioning yourself, your perceptions, and your abilities. This is not a good feeling, and can leave you feeling flawed in some way. We tend to shy away from letting people in, fearing betrayal, loss, or rejection. It can feel risky for a HSP to ask for help, no matter how much they feel challenged and might struggle at work, in their personal lives or in their relationships. When we have particularly deep wounds that need healing, such as abuse or trauma, it can be overwhelming to think we would need to trust someone with our stories and experiences to help us find healing and peace. The following are some tips for reaching out and finding a therapist who will understand how to work with a highly sensitive person. Dr. Aron outlines specific steps to finding a therapist in her book, "The Highly Sensitive Person's Workbook: The Practical Guide for Highly Sensitive People and HSP Support Groups." One of the first suggestions she makes is to "appreciate that this decision will have a profound impact on your life." Take the decision to heart and take the time to research options before deciding. Your therapist will be someone you are incorporating into your life for a period of time, consistently offering you a safe space to share experiences and process through challenging emotions. 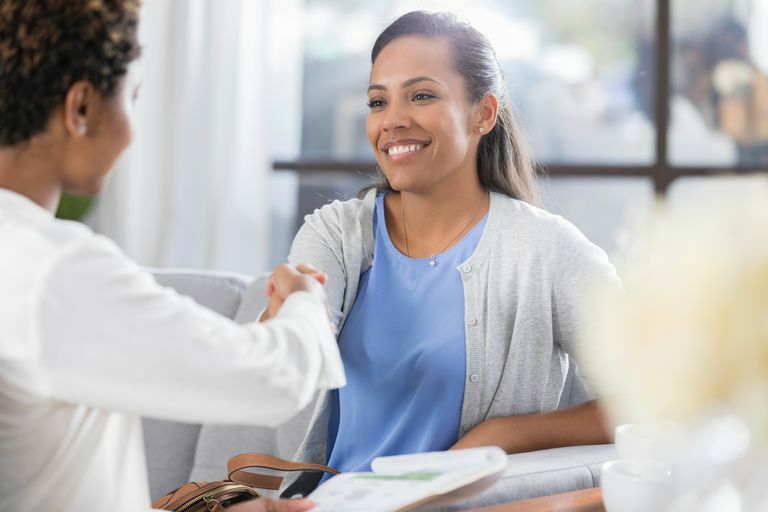 Although many people offer services as a helping professional, it is important to look for providers who have the proper education, training, and licensure to practice in their field. Examples of this would be psychiatrists, psychologists, licensed therapists, and social workers. There are state board regulations in place for these professions and, although providers vary greatly, selecting someone who is formally trained and credentialed by their state board will allow you to know that they have met specific criteria to practice in their chosen field. Many providers offer this information on their websites or other listings but, if you are unable to find that information easily, do not be afraid to ask the person about their credentials and licensing. You can find a lot of information about therapists online. There are many online listing sites and other websites dedicated to sharing information about available therapists and can be searched by location, so you can see what options are available close to you. Remember that you will likely be seeing this person on a regular basis for a period of time, so keep that in mind as you consider scheduling and commuting. Some therapists offer free consultations, briefly in person or over the phone. If you find a provider who seems like they would be a good fit for you, and they do not state that they offer a free consultation, do not be afraid to ask. Most therapists will be glad to spend 15 minutes over the phone, or even by email, to answer questions about their training and experience. Keep in mind this consultation time may need to be scheduled in advance, and some may prefer you come into the office for an in-person consultation. Are they approachable and engaged in conversation? Do they seem compassionate and understanding? Do they allow you to share during the first session? Do you find that they have helpful insights? Do they allow you to ask questions about their training or credentials? Although some therapists are highly sensitive people themselves, others are not. It is not necessarily a requirement for your chosen therapist to be a HSP like you, but you may have that preference. Allow yourself to gather the information necessary to know if this is a safe environment, and if the therapist understands the gifts and challenges of HSPs. After speaking with a few therapists, take a little time to walk away and consider your options. Reflect on things like their interactive style, and even the environment of their office. It can be easy for highly sensitive people to second guess themselves or question their perceptions. Remember, you have a gift of reading cues well, so allow yourself time to reflect on the information you have gathered in your search, and make a solid decision of who might be the best fit for you.